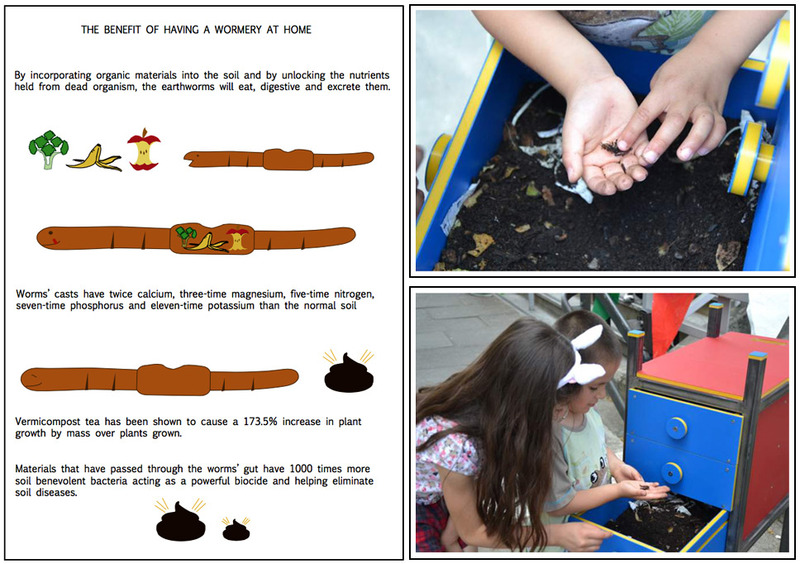 Can worm composting become a community activity? Carpenter/artist Rowin Snijder is testing this concept out on a street corner in Amsterdam. He has designed and built a durable, oak cabinet that looks like an elevated planter box. Inside, it hides 2 vermicomposting compartments, into which neighbors can deposit their food scraps. When one side is filled, they use the adjacent section so the worms will follow the food scraps and move into it through a bamboo lattice that connects them. The finished compost can be harvested from the first bin while the second becomes full of worms that are being fed. And the composting process continues. Rowin says, “When a group of people take it upon themselves to take responsibility for their own trash, and work together, so much more happens than just making compost. It builds community, a connection with your surrounding, and is an inspiration for others to do so as well. 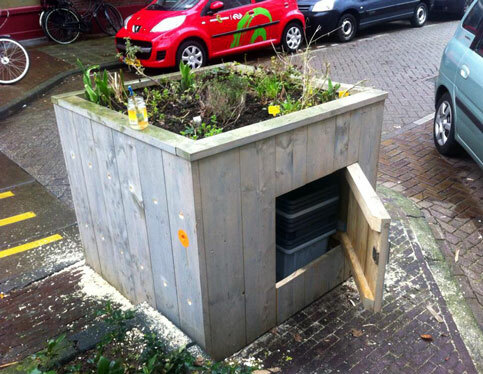 The compost produced, can be used in gardens in the street or on rooftop gardens and balconies.” He has also designed a version for the balcony, which he sells in Amsterdam, but also offers the plans for free on the Le Compostier Facebook page for others who want to build it themselves. And there is a new, 2 square meter version that has space for worms and bees. The bees are invited in through a yellow-painted portal in the wood box, where they can find refuge in their own protected box inside. 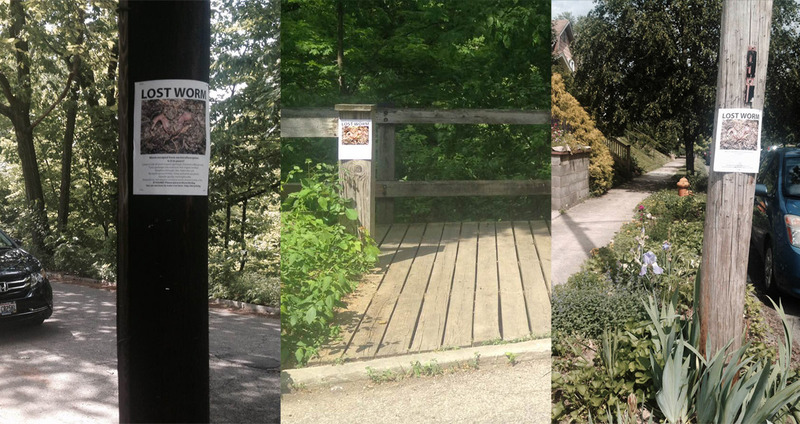 An intriguing cohabitation with worms, bees, plants and people on the street. I look forward to hearing more about this project as it develops. Visit the Le Compostier blog for more information. The yellow painted hole invites bees in to share the space with the worms.